Somebody broke the front window of a Westmount home and tossed an "incendiary object" inside, causing extensive damage, Montreal police say. 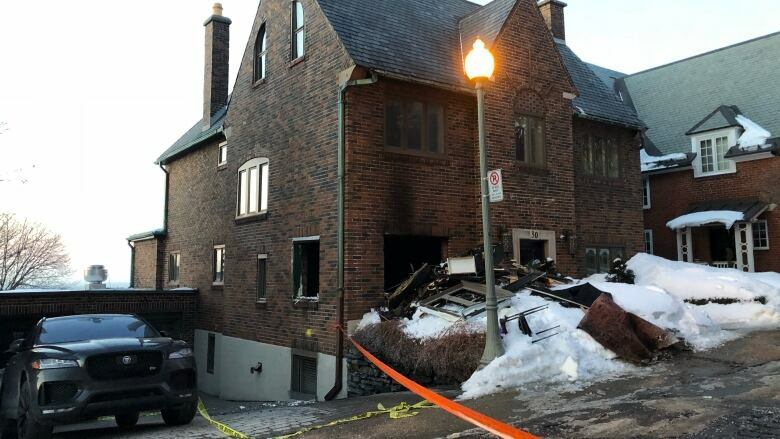 Somebody broke the front window of a Westmount home and tossed an "incendiary object" inside, causing extensive damage overnight, Montreal police say. Authorities were alerted at around 1:30 a.m. Wednesday about a fire at a home on Edgehill Road near The Boulevard. It's a usually quiet, two-lane residential street lined with luxury, brick-faced homes and immaculately landscaped front yards. Firefighters were able to extinguish the fire quickly, but the damage was extensive, said Montreal police spokesperson Const. Manuel Couture. There was nobody inside the house at the time and nobody was injured, he said. The Montreal police department's arson squad is investigating. This is the second time the home has been targeted. In October, two vehicles parked in the driveway were torched and Couture said police are working to determine why the home is being targeted.